This tutorial will also require some customization of the BuddyPress Member list template, but I’ll show you that at the end of this article. 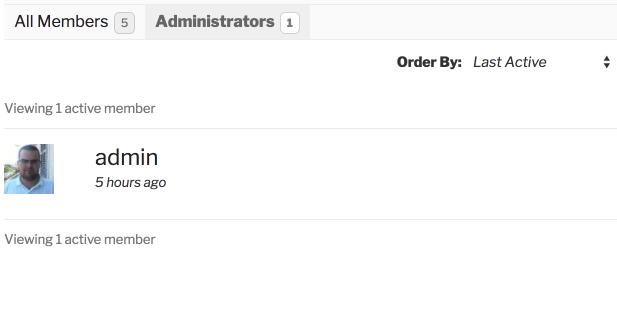 In this tutorial, we will show users that have the Administrator role, but you can easily copy or edit the code to show other users. You can put this code in your theme or in a plugin. For this projects, which was a specific theme, I have put this in a child theme. Let’s define the function that will return an array of user IDs that we can then use for filtering. In this function, we are also using transients. That way, we won’t have to make database queries that would take more time. That will be done only once every 12 hours. You can change that if you want. To get the users, we are using the function get_users(). You can read more about that function on the WordPress Codex. So, to get only the array of user IDs, we just have to define the parameter fields and use the ID. You may add other fields, but as long as the value of that parameter, is not an array, you’ll get user IDs. We are also defining another parameter role__in. This parameter will limit the query to only the users that have the role administrator. 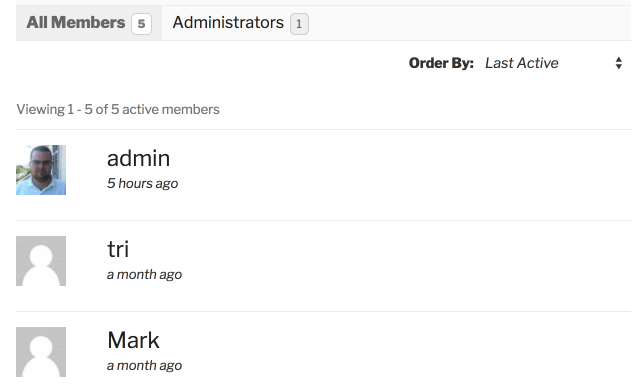 By using the filter bp_members_directory_member_types, we can add our own tabs on the BuddyPress members directory page. To create a linked tab, we will also use the function bp_get_button(). must_be_logged_in – If true, the button will show only if the user is logged in. We are also putting the class current when we are on the directory page and the query string is set to ?show=administrators. We now have both the button and also the function to get the user IDs that we want to show. We can filter the BuddyPress member directory by overwriting the arguments that are passed when getting the users. That filter is bp_after_core_get_users_parse_args. By passing the user IDs that we get from our function bp_get_only_administrators_ids into the parameter $r, we are telling to BuddyPress, that we want only users with those IDs. 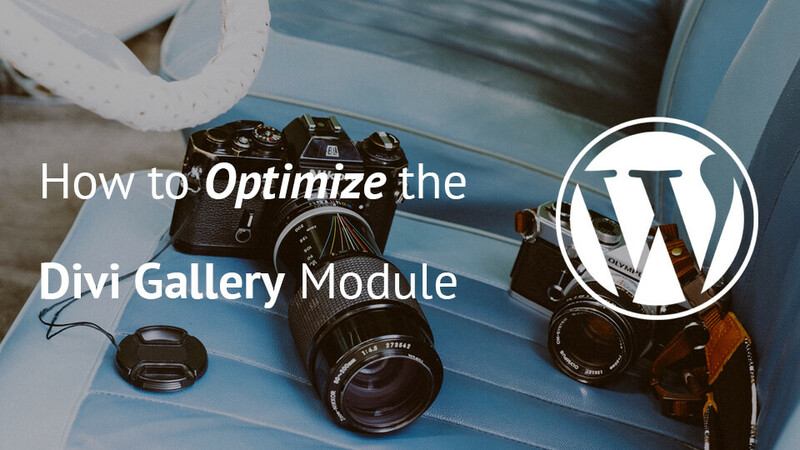 You can do that by overriding the BuddyPress templates. For this part, you just need to have a folder buddypress inside your theme. Inside that folder, another one called members. Inside that folder, you need to copy the index.php from the BuddyPress folder bp-templates/bp-legacy/buddypress/members/index.php. Just find the class="item-list-tabs" and then change the class & remove the ID from the first LI element. That should do the trick. Creating custom BuddyPress directory is really easy once you understand the WordPress Plugin API. We could filter the members by changing the SQL Query directly since we also have filters for that. But that could be another tutorial. If you would like to see it, just tell me in the comments below. Have you ever worked with BuddyPress? Be sure to share your experience below. 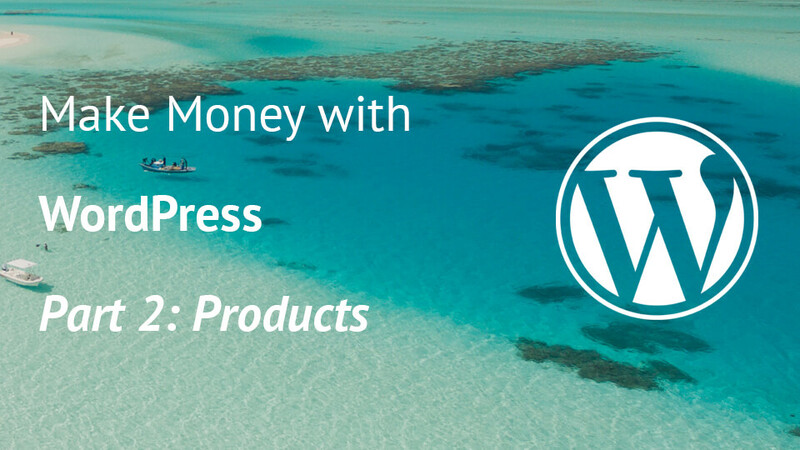 Want to learn more about WordPress Development? 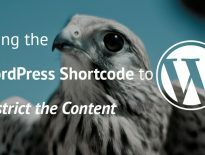 I have a course that you might want: Become a WordPress Developer. I would be interested in seeing how to filter the SQL query. I am a newbie to WordPress. I had this buddypress site for student. I have this for a school project. I have the same idea as you have here, we want visitors to see who are the administators of the site. However, wonder how you save this files on the server. Did you upload it directly in the ChildTheme/BuddyPress/members as admin_tab.php, filter.php,member_list.php, only_admin_ids.php?